But, like just about everything else, having a car in NYC is a different ballgame than driving in most other places. Besides the nightmarish gridlock, there are a number of city-centric cost considerations and logistical hassles to keep in mind before you throw caution to the wind and get a car to call your own. Garages: The biggest hurdle to owning a car in New York City versus other areas is the prohibitively high cost of parking. 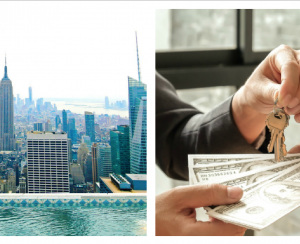 If you're looking to buy an apartment that comes with its own spot, in Manhattan, you can expect that to add anywhere from $60,000 to $150,000 to the final price tag (maybe more), as we've written previously. Renting a spot in most buildings with garages can run anywhere between $100 and $1,000 depending on the neighborhood, and if you opt for a private garage, NYC Parking authority reports that the average cost of monthly parking in the city clocks in at around $430. (Though Manhattan residents who park in the borough can qualify for an 18.375 percent parking tax exemption.) Anyway you slice it, you'll be paying as much as most people in other cities pay in rent for the privilege of keeping your car indoors. Some other things to keep in mind: Icon, one of the city's largest parking vendors, gives monthly customers a card that allows them to park at any of their other locations for half off hourly or daily rates, which is handy if you're running arounds around the city, not just using your car to escape it. Also, if you're able to time your parking seasonally, most garages will sign you on at a lower monthly rate in the spring and summer, when fewer people are parking in the city, then raise rates during the colder months when business is busier. Alternate side: If you opt to skip the garage, know that what you save in cash you'll pay for in time and logistical hassle, thanks to the city's notoriously tricky alternate-side parking system. (Check out the 2017 regulations and calendar here.) This means getting up early to move your car on street cleaning days (or circling for a spot the night before), digging it out when there's been a snow storm, and anecdotally, a very high likelihood of incurring expensive parking tickets. (Be advised: Some neighborhoods, especially in Manhattan, have more street-cleaning days than the other boroughs; subscribe for updates from the NYC Department of Transportation so you know when rules are suspended.) For instance, one Quora user wrote that friends tend to budget $1,000 per year for towing and ticketing costs; if you manage to dodge those, expect to pay for overnight parking on days when a street spot seems impossible to find. Parking in winter will be a hassle, too, as you'll have to figure in extra time to dig out your car. The good news is that alternate-side parking is suspended, sometimes for an entire week—maybe longer—when the city is buried by a blizzard, but that also means more snow to clear out, especially when the trucks roll in to shovel snow out of the roads and off to the side, where your car is. Outsourcing via app: Difficult though the parking situation can be, the one upside is that a number of apps and services have cropped up in recent years to make the process easier. "It's much easier now to find the most affordably priced parking in your area," says William Lerner, executive consultant of parking garage chain iPark. "There are currently three dominant apps in the NYC region for parking—SpotHero, BestParking, and ParkWhiz." There's also Spot Pog, a new app that lets New Yorkers swap out street parking spaces. For a more comprehensive option, there's DropCar, which acts as a valet, chauffeur, and de facto parking garage for users. While NYC car insurance rates are generally cheaper than those in neighboring areas like New Jersey and Connecticut, within New York state, the five most expensive counties for car insurance also just happen to be the five boroughs of New York City, NerdWallet reports. Besides the usual factors like your own age and driving record, your borough will also determine insurance rates. Interestingly, in a 2013 study, NerdWallet had Brooklyn as the most expensive, with an average annual premium of $3,550, compared to $2,272.80 in Manhattan. (Though of course, parking in Brooklyn is generally a whole lot cheaper.) 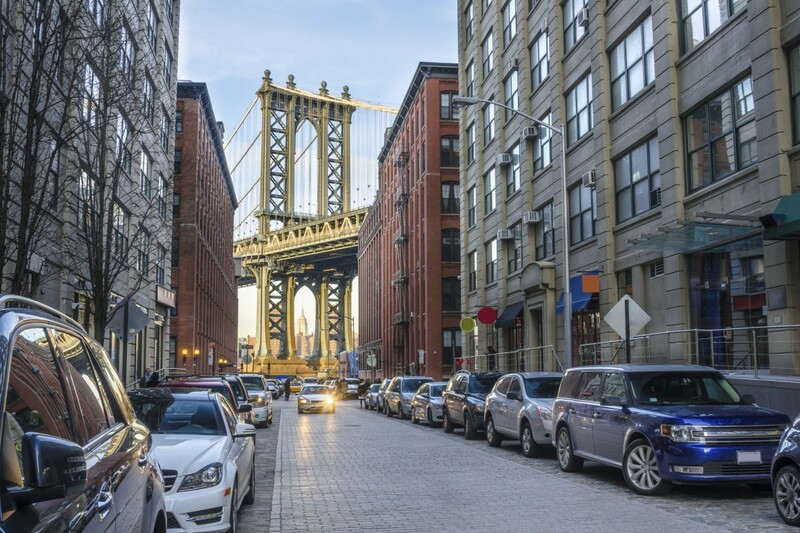 Additionally, many NYC drivers report extra wear and tear from parallel parking on tight streets, navigating crowded garages, and brake pads that wear out more quickly in stop-and-go traffic. To find the best rate, ValuePenguin has a handy side-by-side comparison of insurance companies that have the best rates by county and borough. 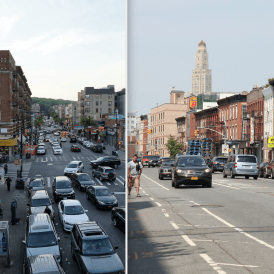 As the city scrambles to use every possible inch of land for much-needed housing, gas stations in the city are growing fewer and farther between, so much so that the New York Times recently dubbed Manhattan a "fuel desert." There are hardly any stations below 96th Street in Manhattan these days, meaning that if you don't happen to live near one, be prepared to go out of your way when it comes time to hit the pump. "Land has far greater value when used for real estate than as a gas station," says Lerner. "Ultimately, the city is going to see an influx of electric vehicles, because there will be fewer and fewer places to gas up your car." As such, iPark and an increasing number of parking garages are putting more charging stations in their facilities. What happens to NYC neighborhoods when parking lots disappear?